Celebrate the start of Spring with free delivery! Treat yourself to the Eglu of your dreams, buy the Qute Hamster Cage you’ve always wanted or upgrade your guinea pig’s home to an Eglu Go Hutch. Already have chickens? 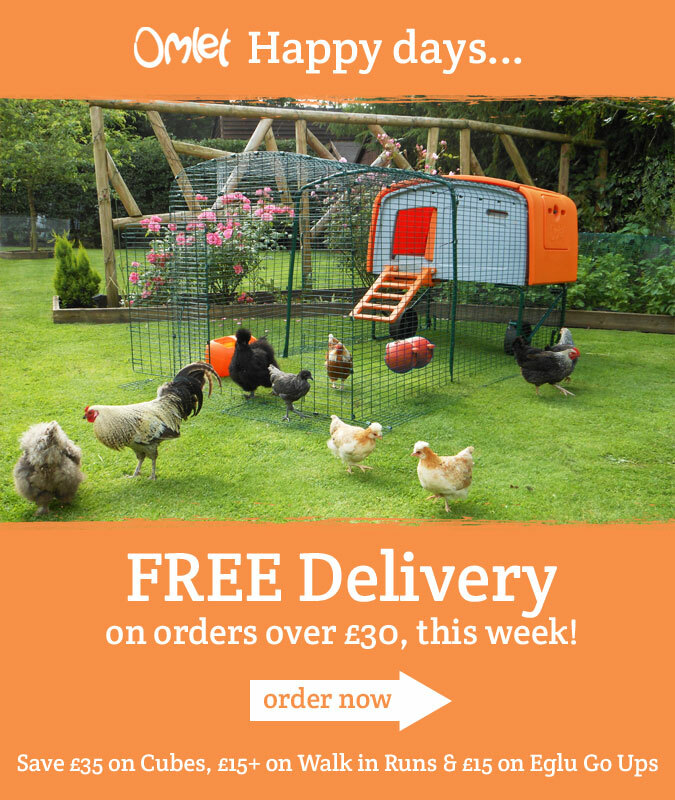 Why not give them some eggstra space with a Walk in Chicken Run, now starting from only £299.99, and save £15 on the delivery cost. Whatever you fancy, spend just £30 this week and receive free UK delivery. But hurry, because this offer ends at midnight on Saturday 7th March.